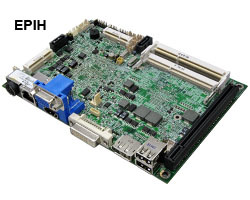 We have great pleasure to announce a validated digital signage platform, EPIH,This fully tested and validated platform provides the digital signage industry with a feature-rich, reliable and standards-based development platform. 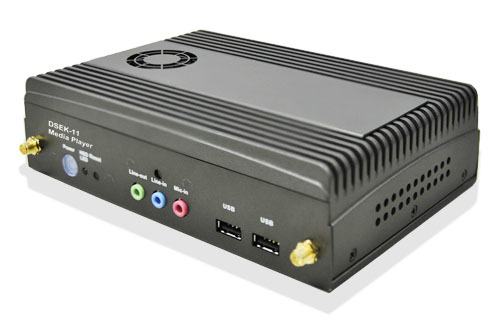 It supports many connectivity options via PCI Express* and USB, and interfaces to a large variety of peripherals such as WiFi/WiMAX and Bluetooth wireless adapters, and TV tuner modules. 2nd Generation Intel® Core™ processor technology makes it possible to integrate two complete execution cores, the memory controller and the graphics engine, in one physical package and one die. The processor graphics capability saves cost over integrating a separate graphics card and delivers exceptional graphics, high-definition video playback and 3D rendering. 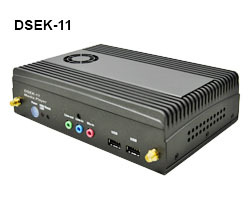 The Digital Signage Evaluation Kit (DSEK-11) offers device manufacturers, systems integrators and software developers an open media player platform that is optimized for digital signage applications. 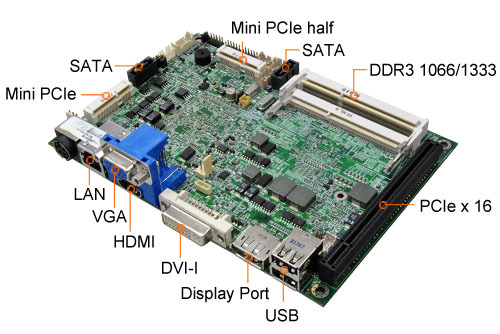 This reference platform is comprised of commercially available components, including the 2nd Generation Intel® Core™ i5 Processor running the Microsoft Windows Embedded Standard 7 operating system (OS). With this platform, developers can create an immersive, interactive digital signage experience for customers wherever digital signs are installed, such as in retail stores, hotels, banks and hospitals. Digital Signage solution providers can shorten their time to market by building on this reliable and standards-based development platform. Interoperability Businesses can be confident media players based on Intel® architecture and the Windows platform will connect and integrate seamlessly with existing enterprise infrastructure. Manageability Intel® AMT 7.0 enables technicians to remotely manage, diagnose and repair systems even when they are powered down. Energy Efficiency Windows Embedded Standard 7 delivers smart power management APIs that aid developers building energy saving applications. Graphics processing mproved graphics performance using Windows 7 and Intel® processors with processor graphics support multiple displays, rich media blending, multiple zones and large LCD displays. Rich Media Customers can deploy interactive solutions with panning and zoom, touch and gesture input to dramatically improve digital signage interaction.